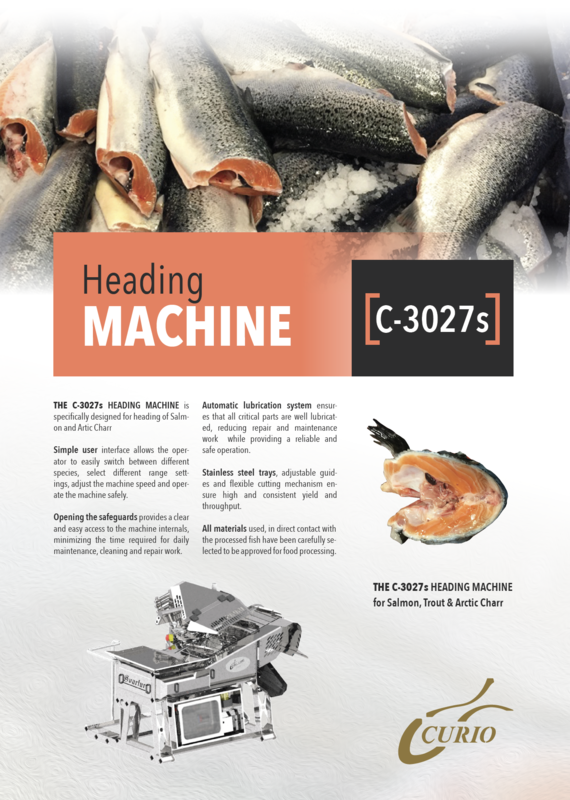 The C-3027 heading machine is specifically designed for heading of whitefish, such as cod, haddock, saithe, and other similar fish.  A simple user interface allows the operator to easily switch between different species, select different range settings, adjust the machine speed, and operate the machine safely. Opening the safeguards provides a clear and easy access to the machine internals, minimising the time required for daily maintenance, cleaning, and repair work. An automatic lubrication system ensures that all critical parts are well lubricated, reducing repair and maintenance work while providing a reliable and safe operation. 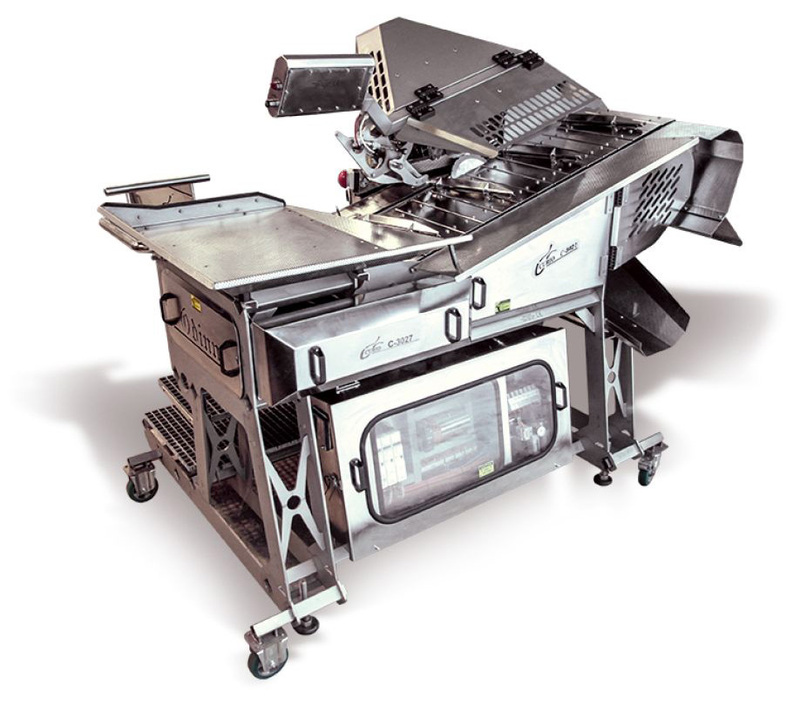 Stainless steel trays, adjustable guides, and flexible cutting mechanism ensure high and consistent yield and throughput. All materials used in direct contact with the processed fish have been carefully selected to be approved for food processing. 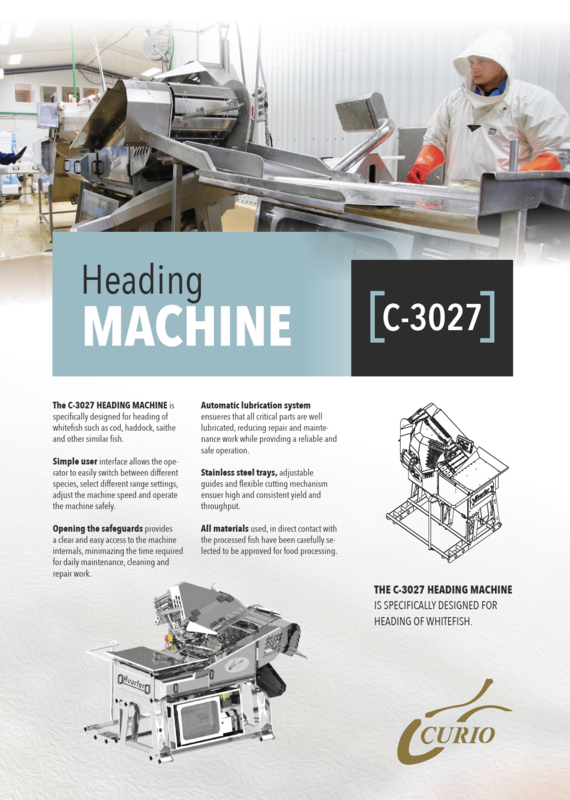 We bring together the devotion inherent in handmade machinery parts, technical innovation, and Icelandic ingenuity – and with this magical mix we assemble potent seafood processing machines with a strong character and great performance.